Bus accidents occur frequently on California streets. According to the National Highway Traffic Safety Administration, there are approximately 300 bus crashes every year. In bus accidents, the injuries and devastation can be extreme — and in some cases, fatal. If you or a loved one has been injured in a bus accident, you need the assistance of a skilled Chico bus accident attorney to help you and your family get through this financially and emotionally devastating time. Bus accidents can occur for numerous reasons, including reckless driving, improper maintenance, poor weather, etc. Whether you are a pedestrian or another vehicle struck by a bus, the results can be catastrophic and highly traumatic. Even if you are not severely injured, you will have medical bills, the stress of dealing with the accident, and loss of wages that you should be compensated for. If a death occurs, a wrongful death suit can be filed against the negligent and responsible parties in the bus accident. With the help of a Chico personal injury attorney, you can get compensation for your injuries, medical bills, loss wages, and even pain and suffering associated with the accident. Our experienced attorneys here at Amaya & Associates have years of experience dealing with bus accidents and their insurance companies. Schedule a no obligation consultation today with one of our skilled attorneys by dialing now. 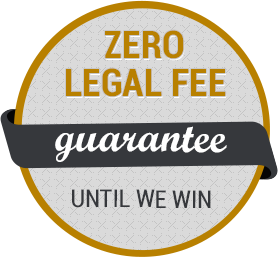 We take all of our cases on a contingency basis, which means you don’t pay unless we win your case.